Dr. Laskis is originally from Ontario, Canada and studied neuroscience at Dalhousie University in Halifax, Nova Scotia, Canada. She studied dentistry at NYU’s world renowned College of Dentistry, which is ranked among the top two dental schools in the world. Dr. Laskis graduated from New York University College of Dentistry in 2006. At NYU, she also studied at the Larry Rosenthal Institute for Aesthetic Dentistry. It is the nation’s first comprehensive program in an academic dental center to train dentists in the burgeoning field of aesthetic dentistry. While attending NYU, Dr. Laskis treated many patients while working the university’s dental clinic, including many patients with complex medical histories. Dr. Laskis received the Dr. Bernard E. Rudner Memorial Award for providing superior performance in comprehensive oral care. When she is not seeing patients, Dr. Laskis enjoys spending time with her husband John and their two kids, Laz 6 and Audrey 3, and rooting for her team, the Toronto Maple Leafs. 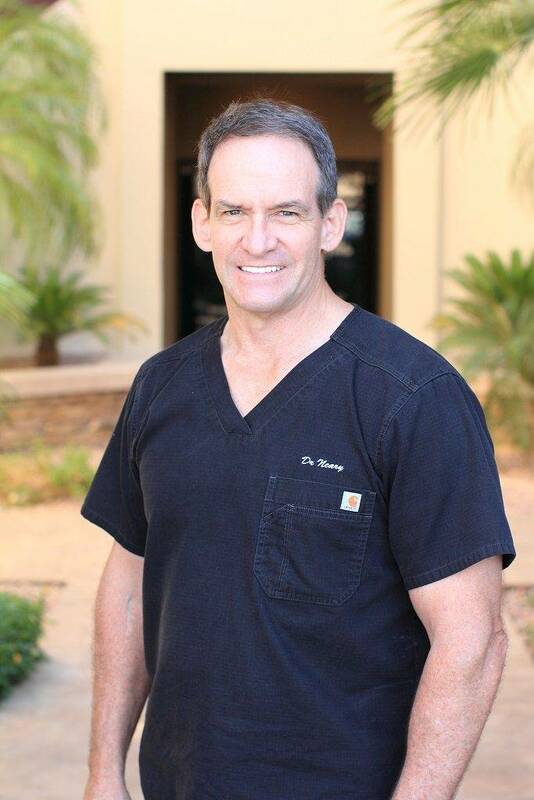 Dr. Michael Neary, DDS has been dentist at his own successful practice in Scottsdale, AZ for 34 years. He graduated from Northwestern University in 1984 and practices dentistry, orthodontics, and more. Dr. Michael J. Neary is committed to preserving and enhancing the natural beauty of your smile using conservative, state-of-the-art procedures that will result in beautiful, long lasting smiles! Dr. Neary believes in excellence in personalized dental care which enables him to provide high quality dental services to our patients. We provide comprehensive treatment planning and use restorative and cosmetic dentistry to help you realize optimal dental health. Dr. Neary and our staff believe that preventative care and patient education are keys to optimal dental health. Dr. Neary focuses on complete examinations, checking your overall health, and not just your teeth. Dr. Neary also performs oral cancer exams, and takes x-rays when indicated. Originally, from Washington State, Beth has been in the dental field for 10 years. Growing up her mom managed dental offices, which is where she gets her love of dentistry. Tired of the freezing rain and gray skies she followed her sister to sunny Arizona in 2012. As a diehard Seattle Seahawk fan Beth spends her Sundays watching football with friends and family. During the off season you can find her at T-Ball games and dance recitals with her niece and nephews. Anna is originally from Chicago, but grew up in beautiful Fountain Hills. 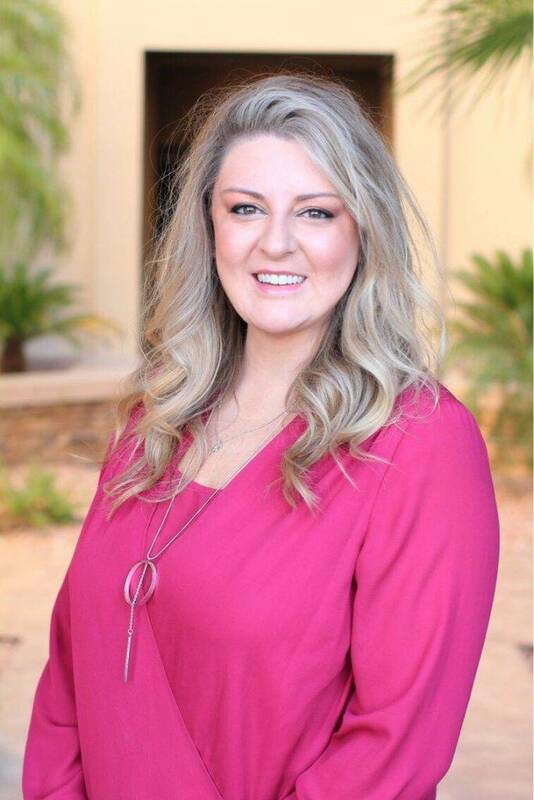 Anna received her Bachelor of Science Degree in Dental Hygiene with an emphasis in Dental Public Health from Northern Arizona University after obtaining her RDH license through Phoenix College in 2011. 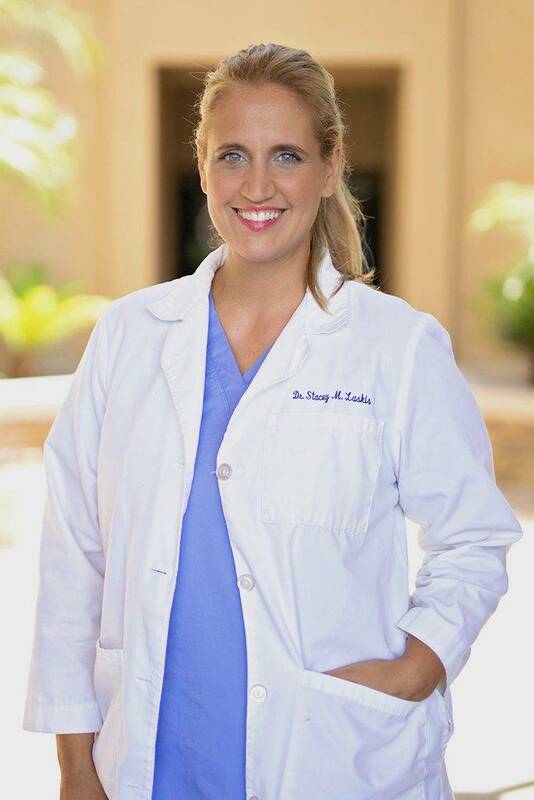 Anna’s certifications include: laser, local anesthesia, nitrous oxide sedation and CPR. When she’s not keeping your pearly whites in tip-top shape, you’ll find Anna and her husband running after Dash, their feisty little Pomeranian. As an animal lover, Anna volunteers at the shelter in her free time. She enjoys nature and the outdoors and her hobbies include hiking, biking, staying active at the gym and taking day trips up north. Anna also enjoys going to the theater, concerts and live shows. Anna and her husband love to travel and are always planning their next adventure. New Zealand is next on her bucket list! Kari has been practicing dental hygiene for 15 years. She received her degree from the University of South Dakota. Kari grew up in a very small town in SD, but moved to the valley 11 years ago to escape the cold winters and now considers AZ her home. It is here where she met her husband. Kari has two young sons and a stepdaughter that keep her very busy. Julie has been in the dental field for over 20 years. Julie enjoys caring for her patients like her family. In her spare time, it’s all about family — she is a mother of 6 beautiful daughters and 4 grandchildren! Julie also enjoys hiking, day trips and discovering hole in the wall eateries. 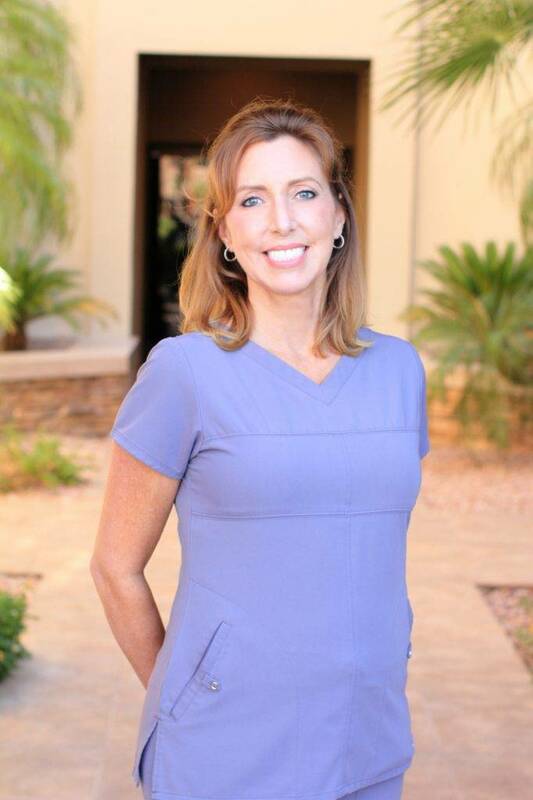 Julie has been a Fountain Hills resident for nearly 15 years. Born in the Los Angeles area, her family moved to Central Phoenix while she was just a teenager, making her practically a native. Having had very little dental care as a child, she was in need of many dental procedures as a teen and young adult. Her family dentist was the first to suggest the field of dental hygiene as a possible career. A good job market, pay and flexibility were the key selling points, but Julie soon learned a whole new calling in life; A purpose fulfilled in helping on a one on one basis. Shy by nature, she has found the true value of human connection. Her experiences as a dental patient herself make her especially compassionate and sensitive to the needs and insecurities of her patients. Julie truly cares about your total experience as a patient and the quality of dental health care you receive. 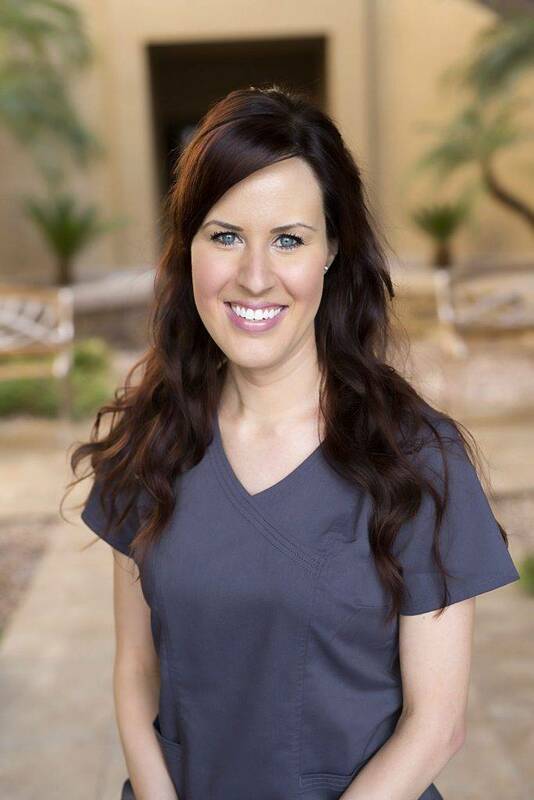 She graduated Phoenix College in 2001 with an Associate degree in Dental Hygiene. 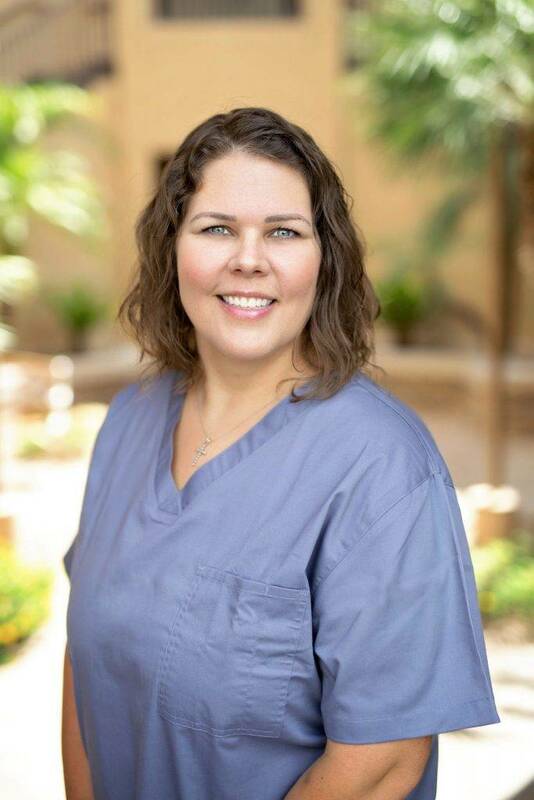 She has certification in the use of laser therapy, local anesthesia and nitrous analgesia, and like everyone on our team she is CPR certified as a healthcare provider. She has been practicing dental hygiene full time since 2001 which is over 17 years. During this time she has gotten married and started a family with 2 beautiful children that attend the Fountain Hills public schools. She loves our community here in Fountain Hills and is often seen at school and community functions.